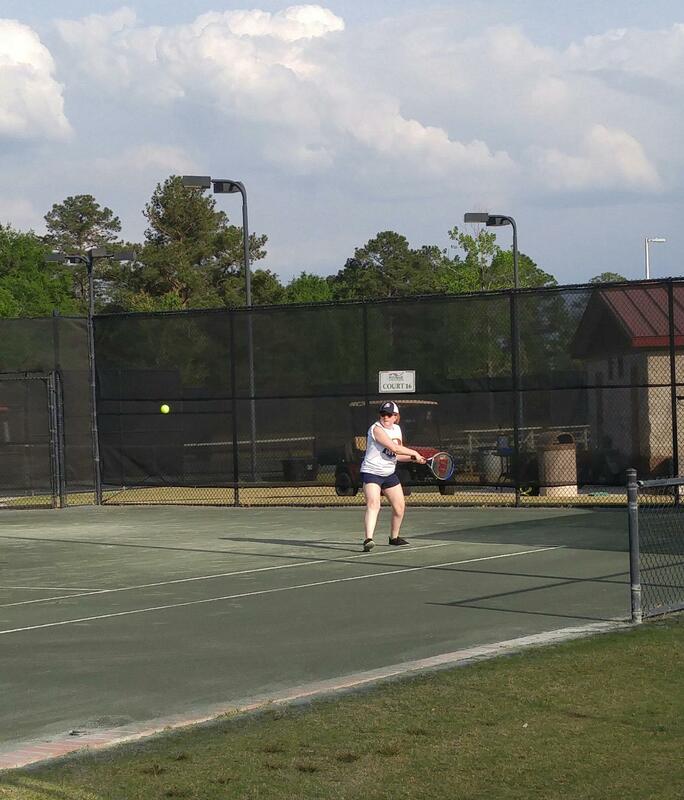 Every year, my station sponsors a professional women's tennis tournament. That's where I was all last week for my noon show, and for the first time since taking the show to this particular event, we were able to center the show around the tournament each day. As a tennis nerd and former player, this is my favorite sporting event that we sponsor. 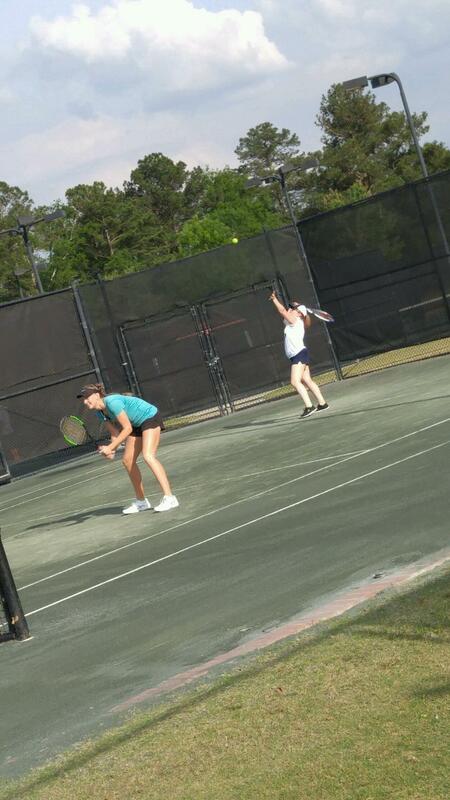 Some of these girls go on to the real deal like the French Open! Anyway, as part of the week's activities there's a Pro-Am. 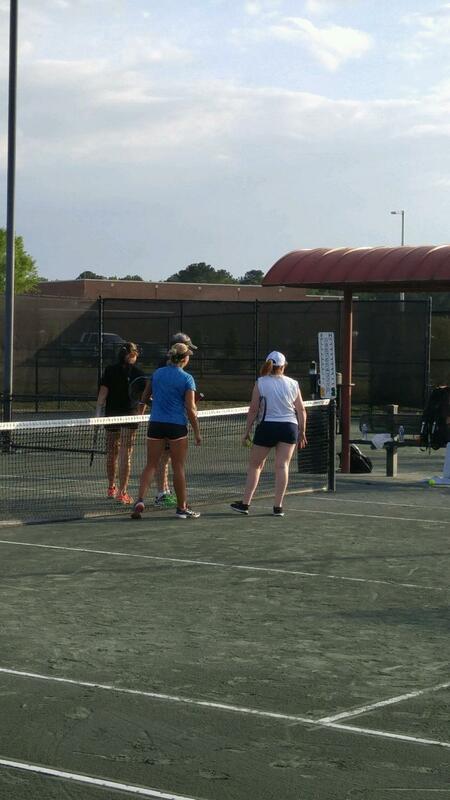 It's where professionals are paired with amateurs for a round-robin style mini-doubles tournament. This year I got to play in it. I was pretty stiff for the next couple of days, but it was so much fun! I ended up getting to play with five different pros for a total of about 20 games in about an hour. My husband and daughter came out to support me, and my parents even drove into town for it. 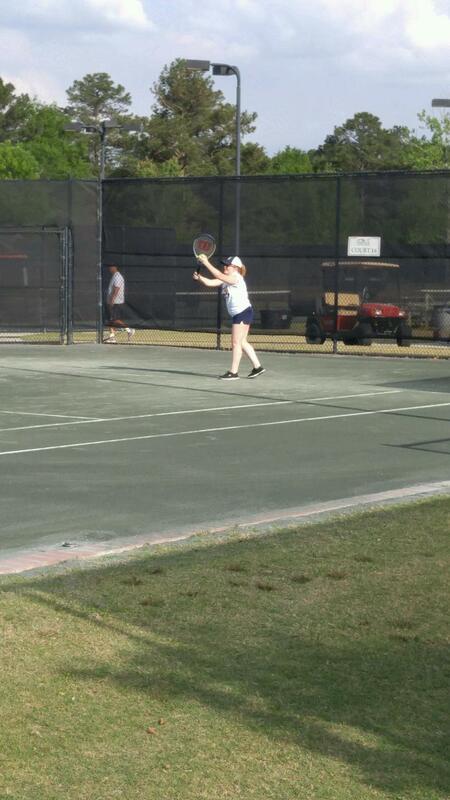 Check out some pictures from the courts below! 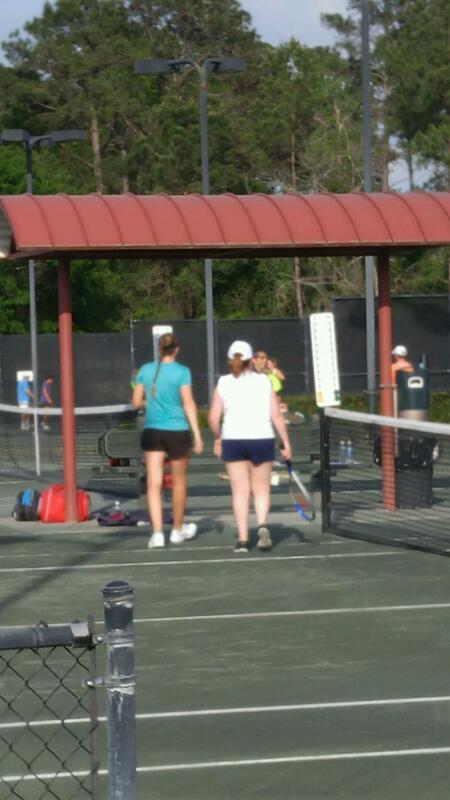 If you ever get the chance to attend a professional tennis tournament, take it! 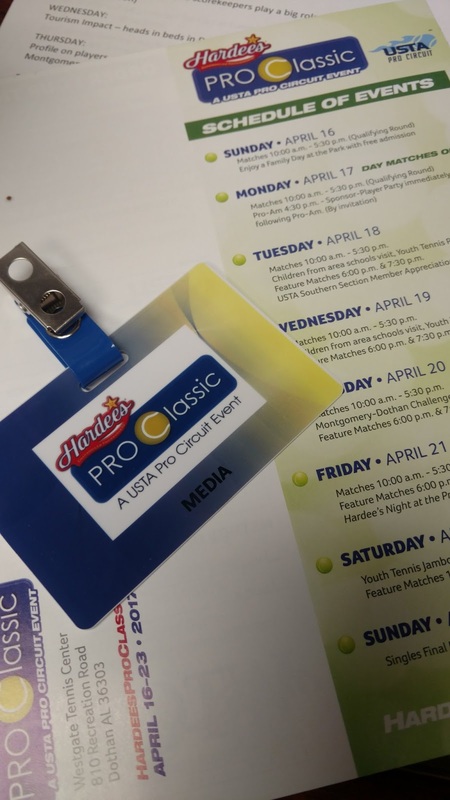 The Hardees Pro Classic may be small compared to Wimbledon or the US Open, but I'm so glad I finally got to experience it first hand!